Ignite Amps was founded by two Italians, fans of guitars and amps. They released their first amplifier simulator, NRR-1, on November 12th, 2010. All of their products are available for Windows in 32 or 64-bit VST format, and for Mac in AU or VST formats. They must be used within a host software, like a D.A.W., and are therefore not usable alone..
A 2-channel tube amp, created from scratch and not based on a particular real amplifier. Access the 2nd control panel with the small arrow on the bottom right corner, and there you can change the emulated tube type. You have a choice between EL34, 6L6, KT88 or no tube. A 3-channel tube amplifier, based on a real guitar preamp designed by Andy Zeugs. It's very good, although I still prefer the NRR-1. Their GUIs are almost identical. The latest version is 2.0, available as 32 and 64-bit VST. Mac versions are also available on the official website. 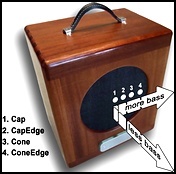 Tube amp simulator for bass guitar. 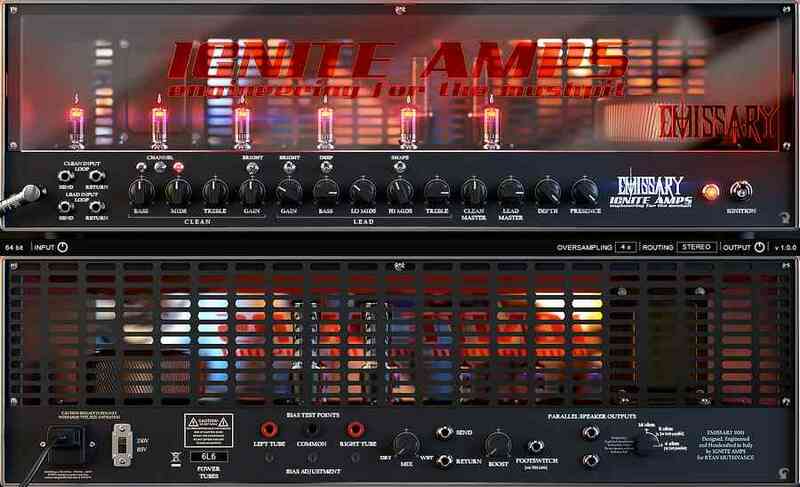 Like all guitar amps of this brand, this bass amplifier is excellent and is presently the best free bass amp simulator available. Quite simply. 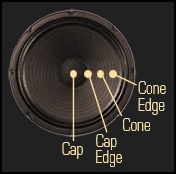 As always with Ignite Amps, the GUI is carefully thought out, clear and very functional. You can get very deep bass sounds, or very clear ones, and even nice overdrive sounds. Together with good bass cabs impulses loaded in an impulse loader, this plugin is a high performance plugin. 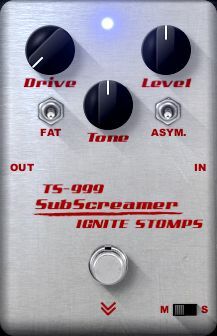 The TS-999 is Ignite Amps' version of a Tube Screamer overdrive pedal. It is a high-quality free product, very simple to use. It is almost identical to the TSE-808 (review and download here) but the latter has a slightly less grainy sound. The TS-999 offers a bit more saturation when you turn the Drive button up. The amplifier simulator used here is the Kuassa Amplifikation Creme, a rather unexpensive, excellent retail amp sim.